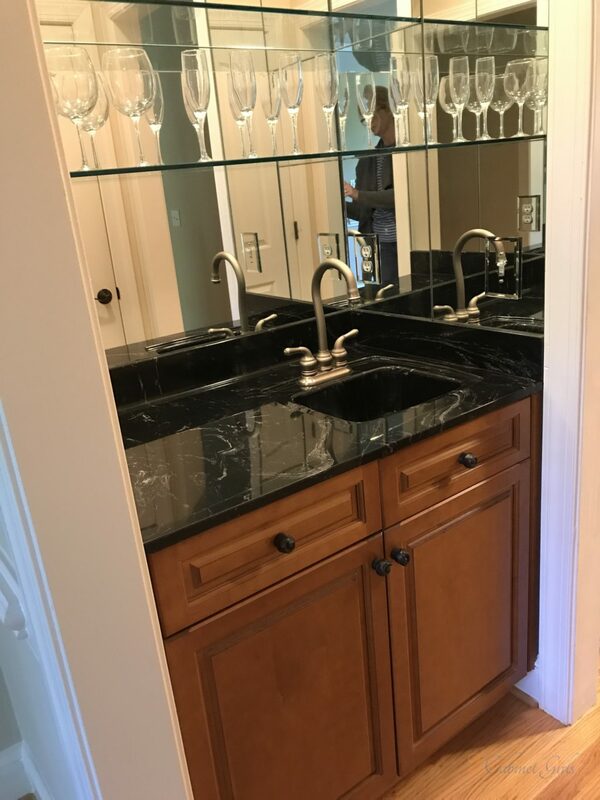 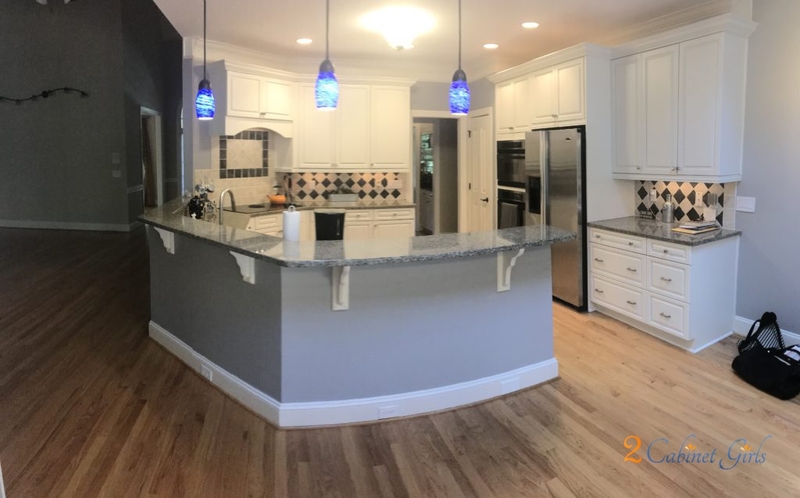 Our new homeowners wanted to calm things down a bit in their new kitchen. 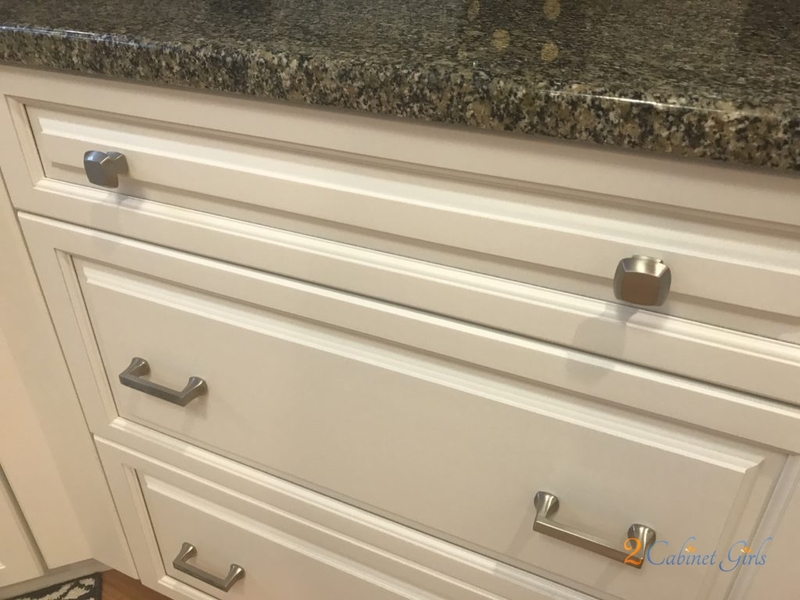 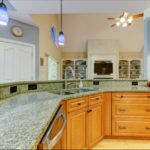 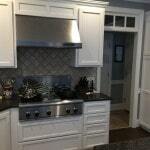 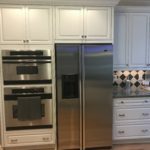 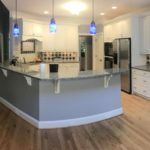 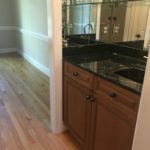 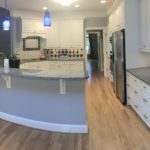 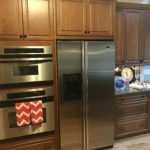 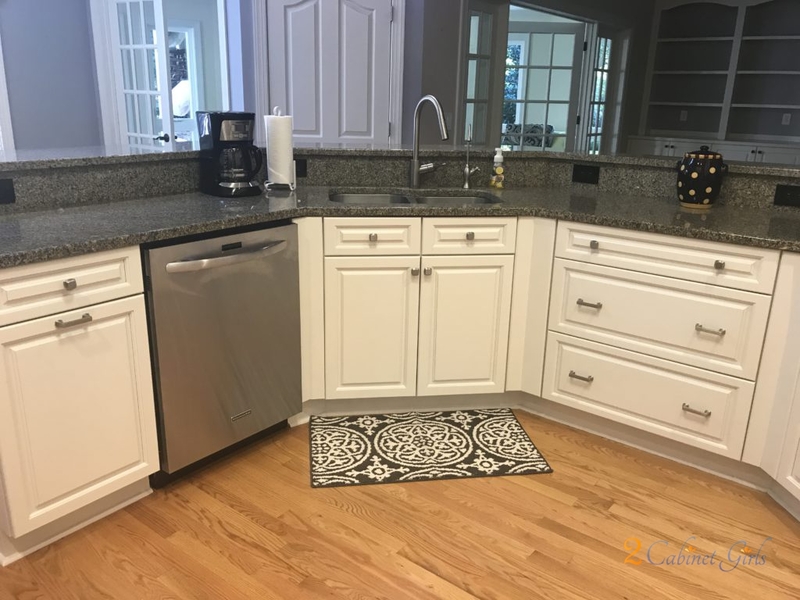 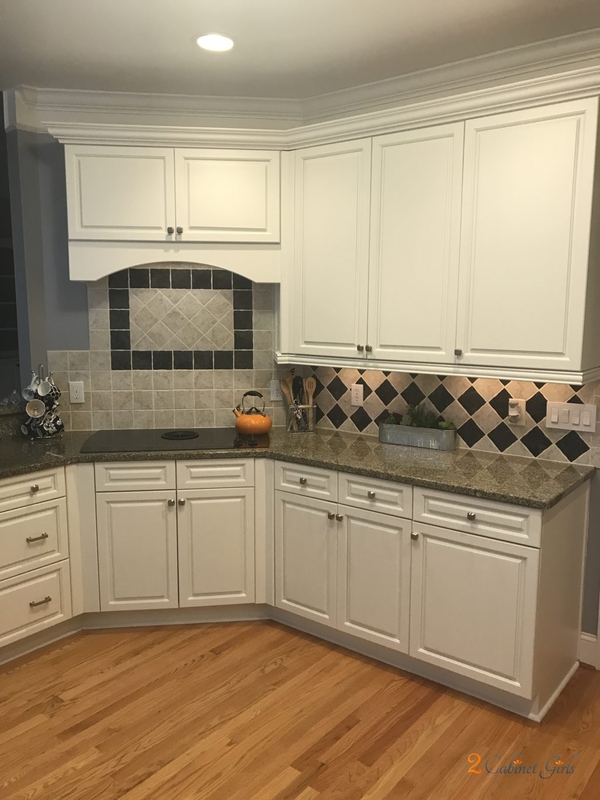 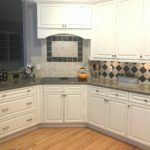 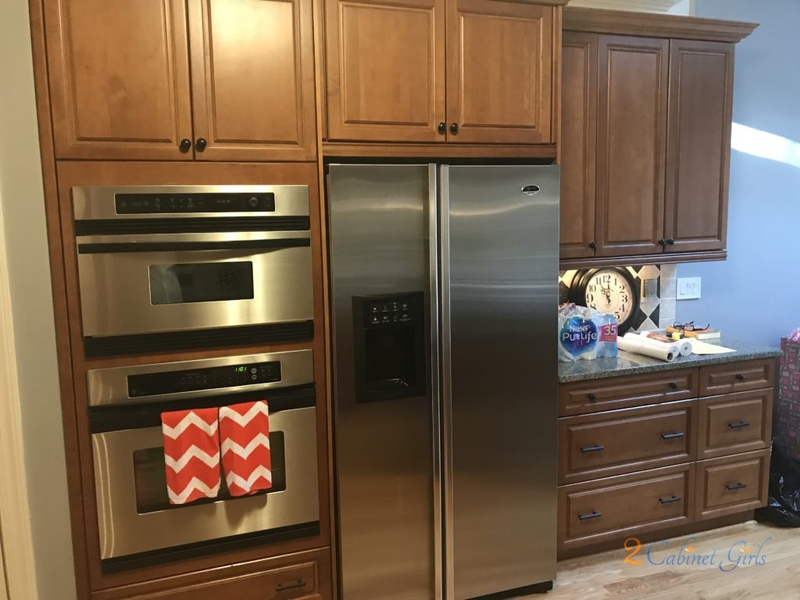 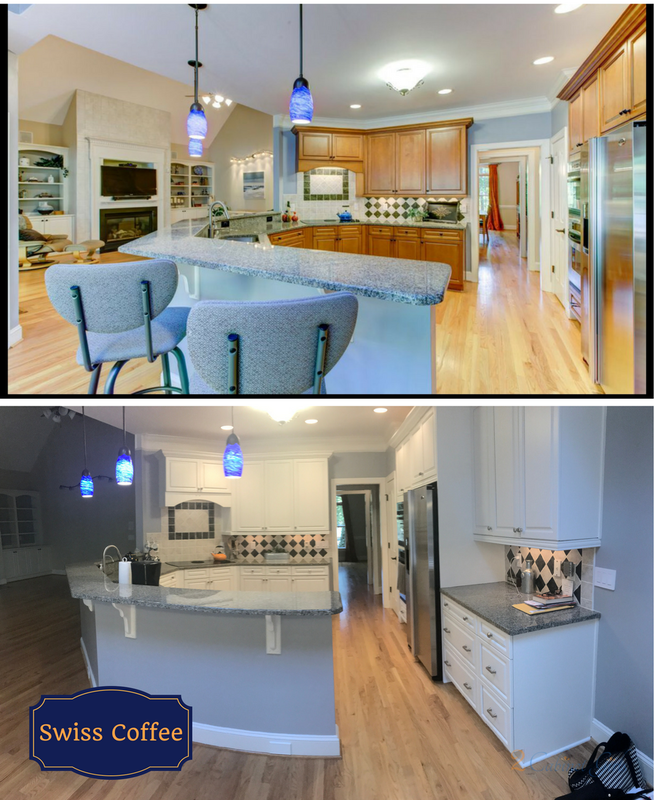 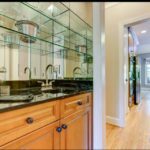 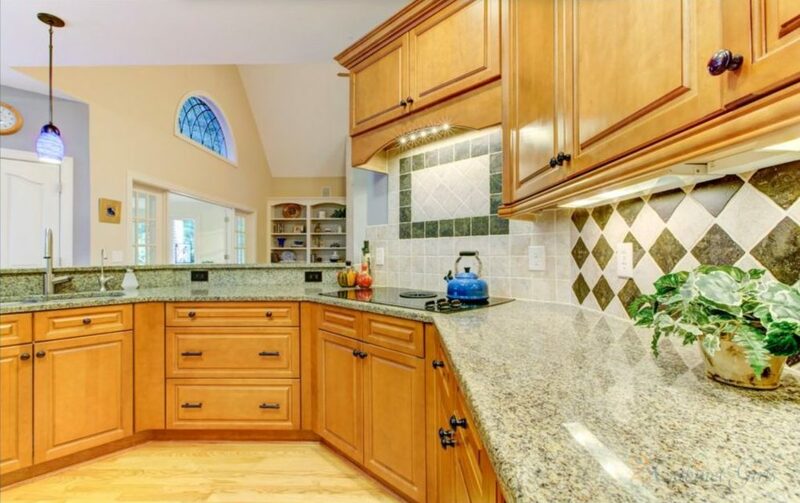 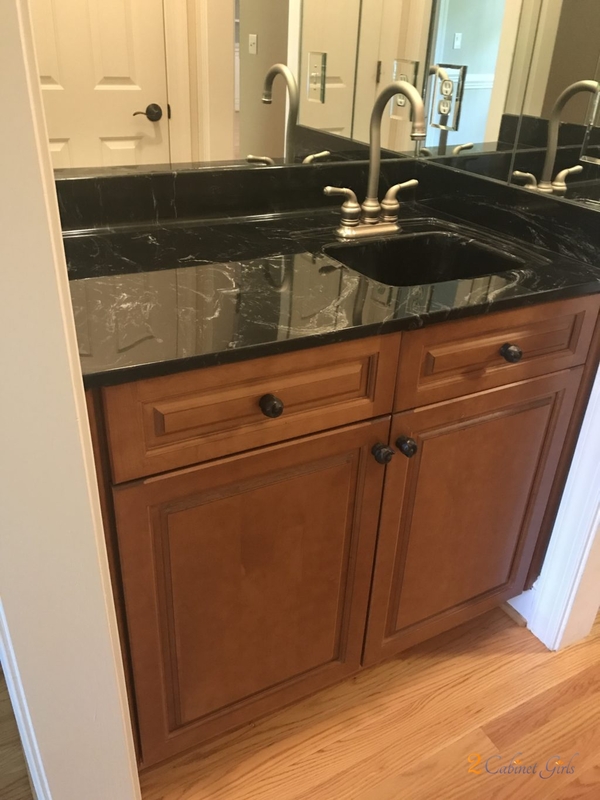 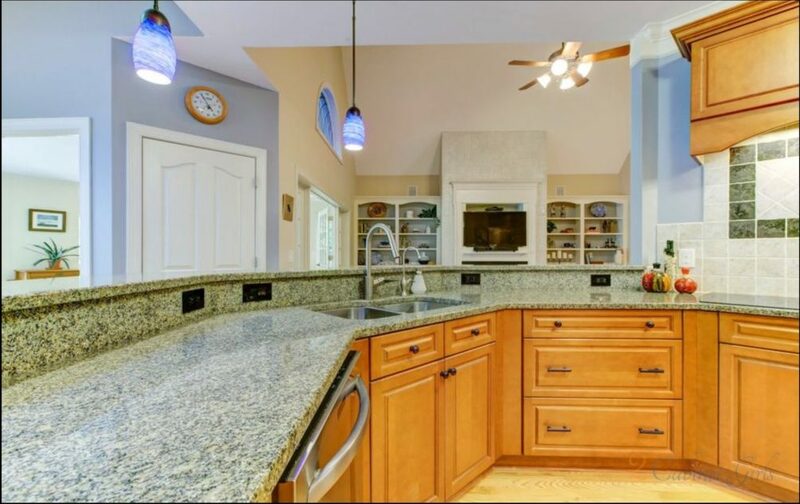 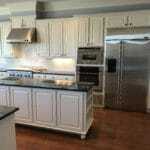 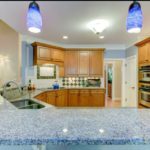 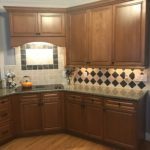 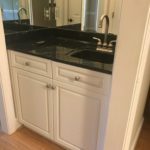 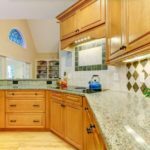 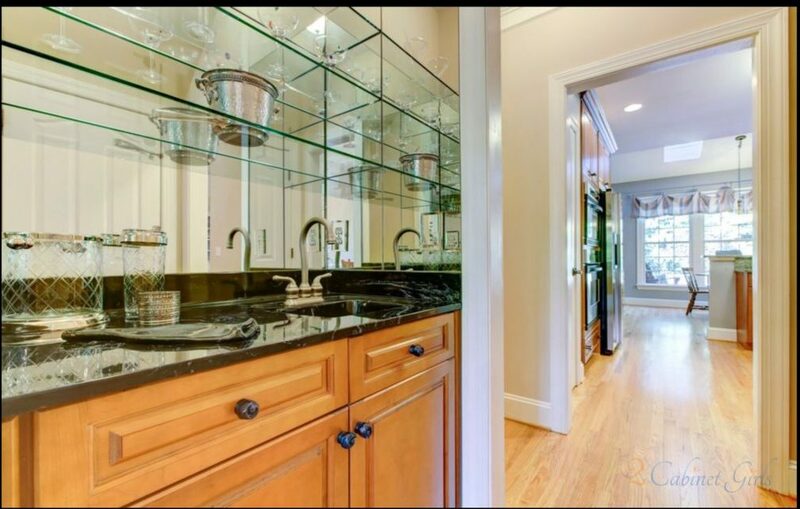 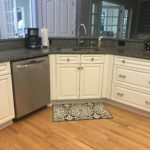 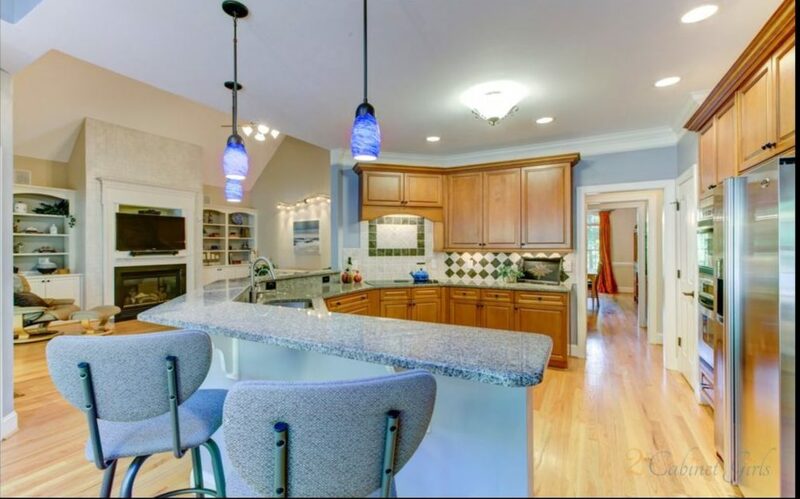 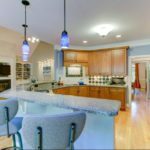 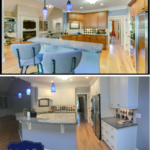 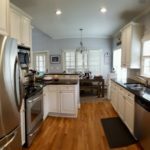 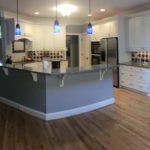 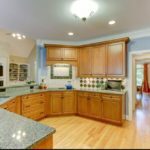 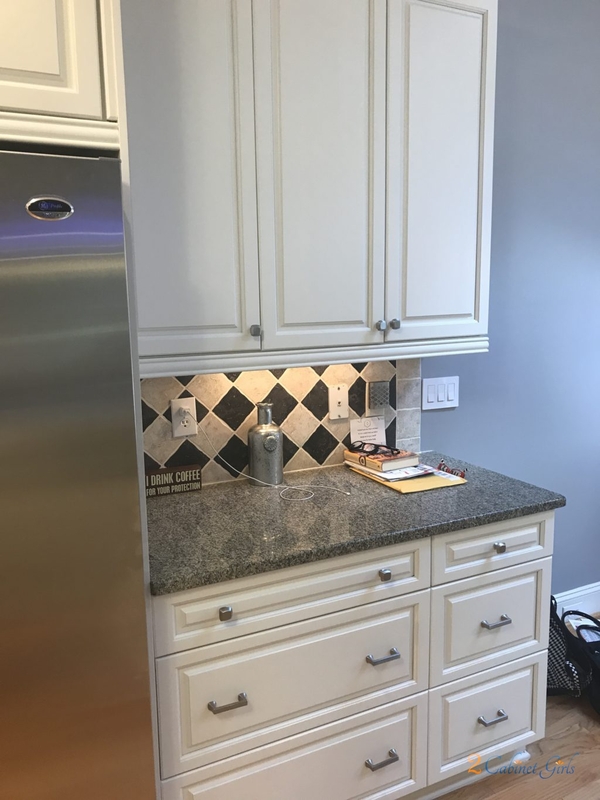 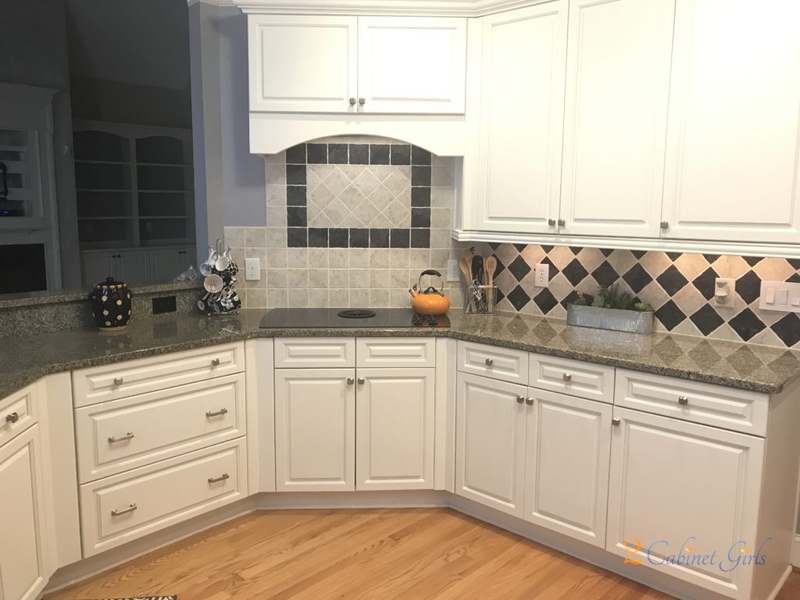 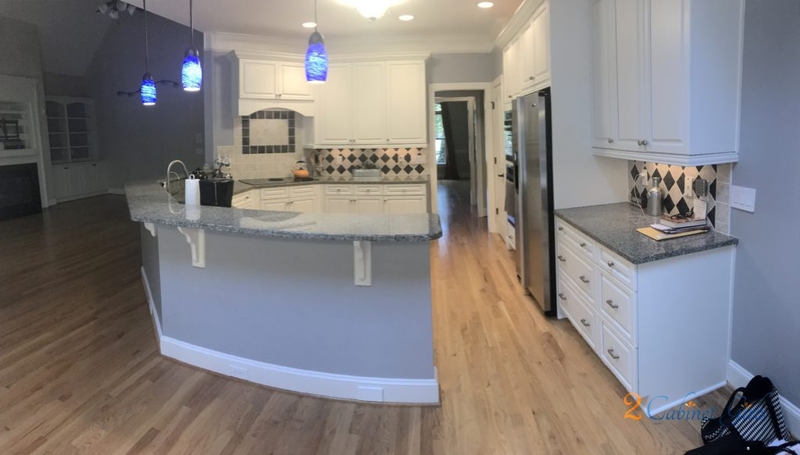 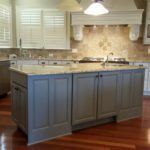 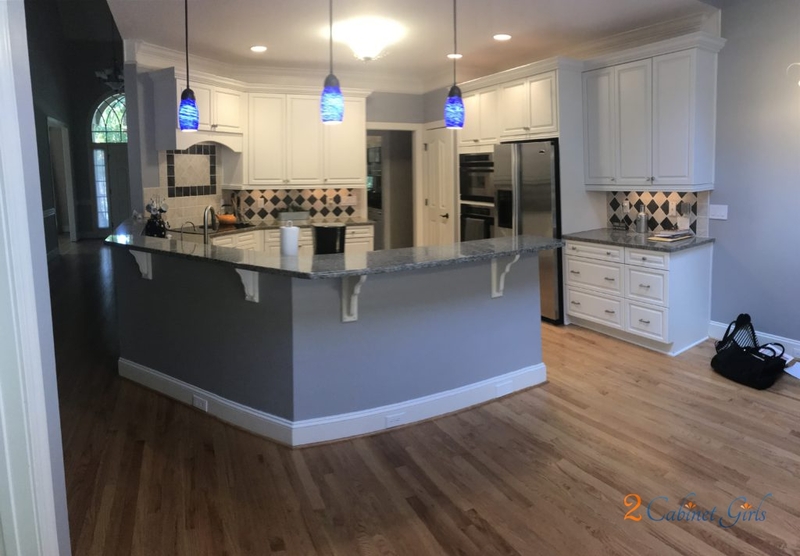 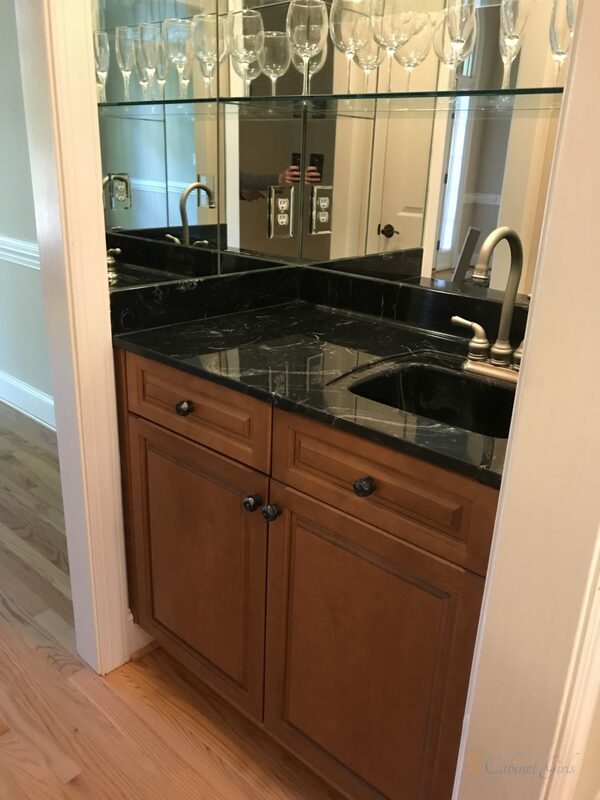 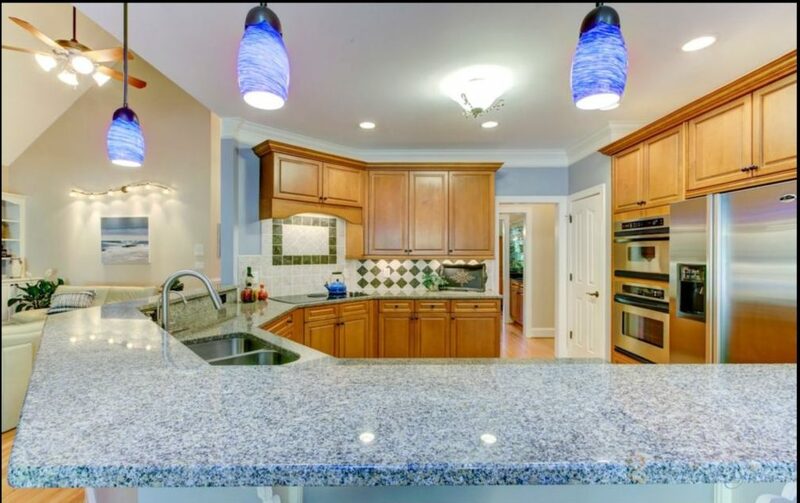 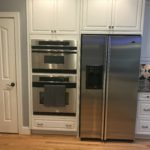 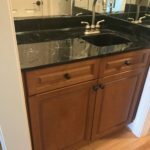 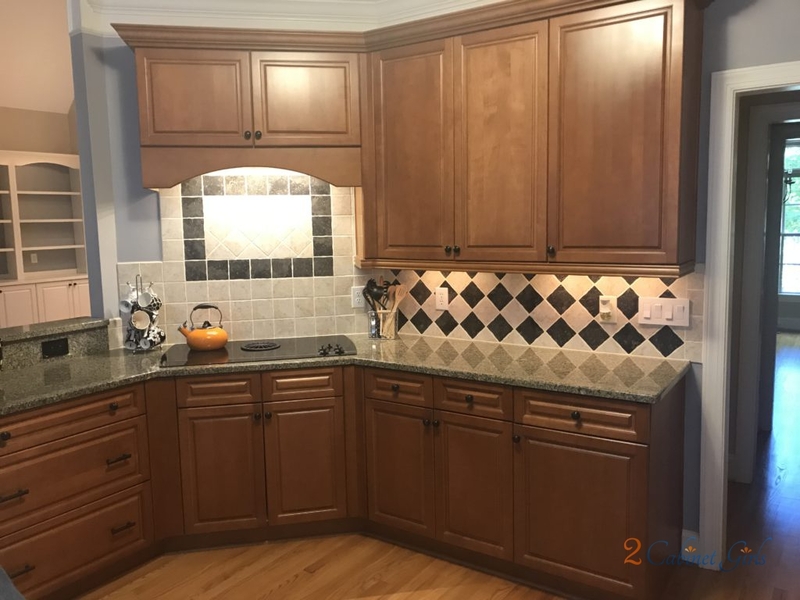 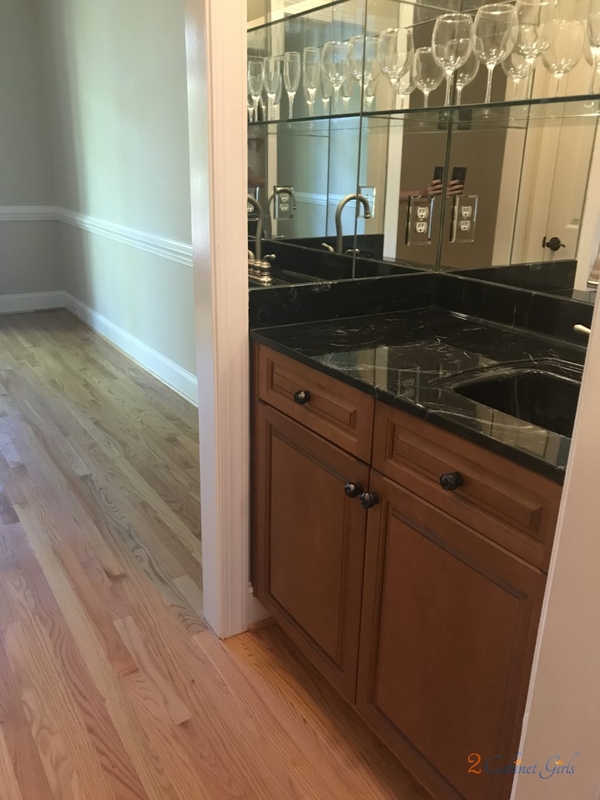 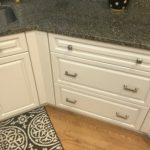 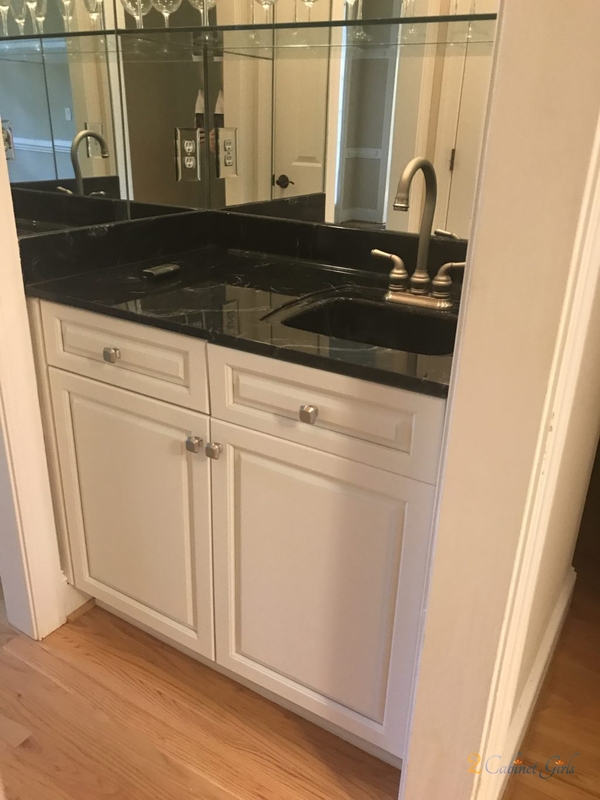 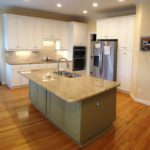 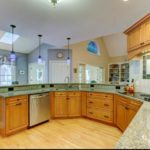 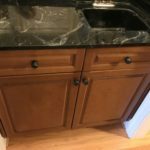 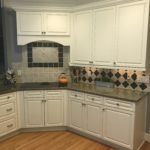 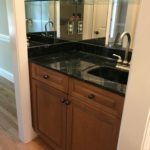 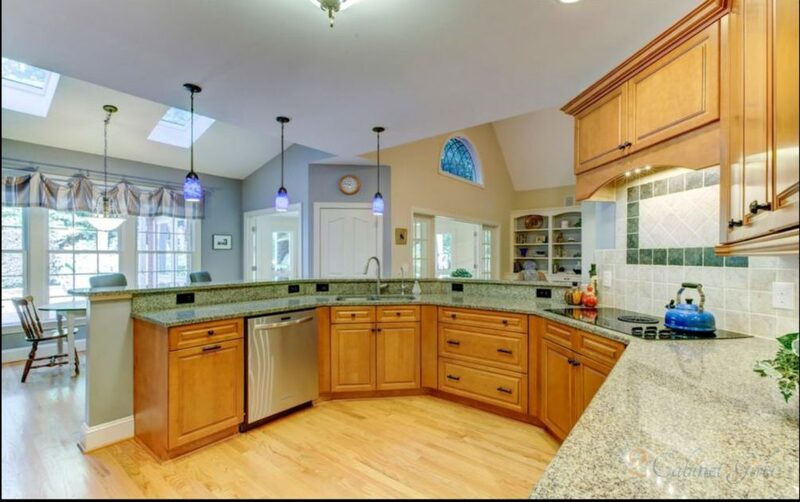 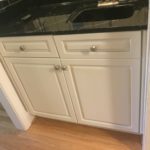 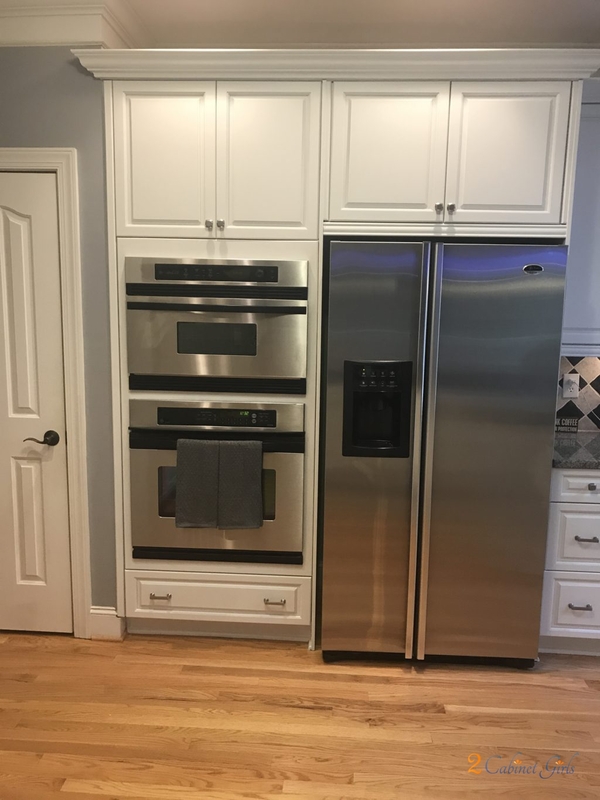 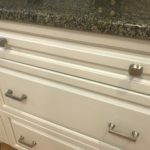 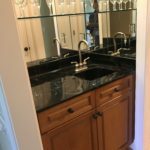 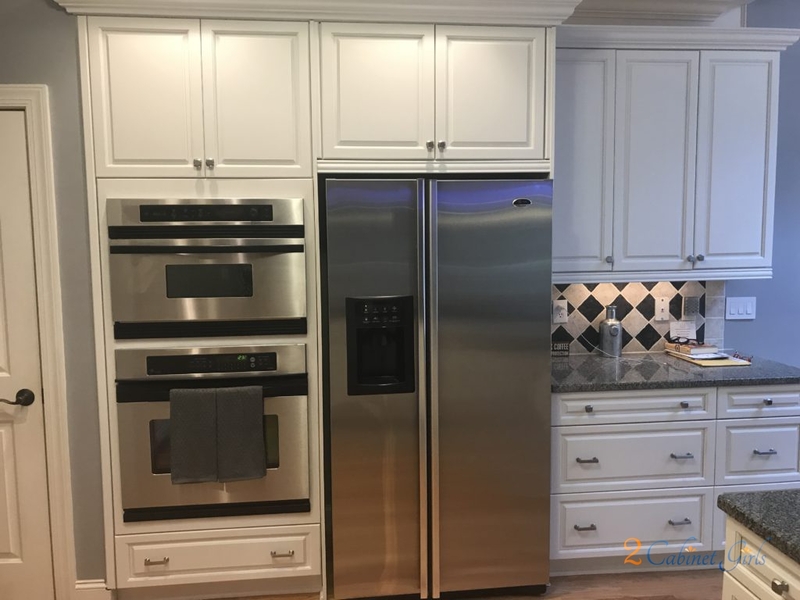 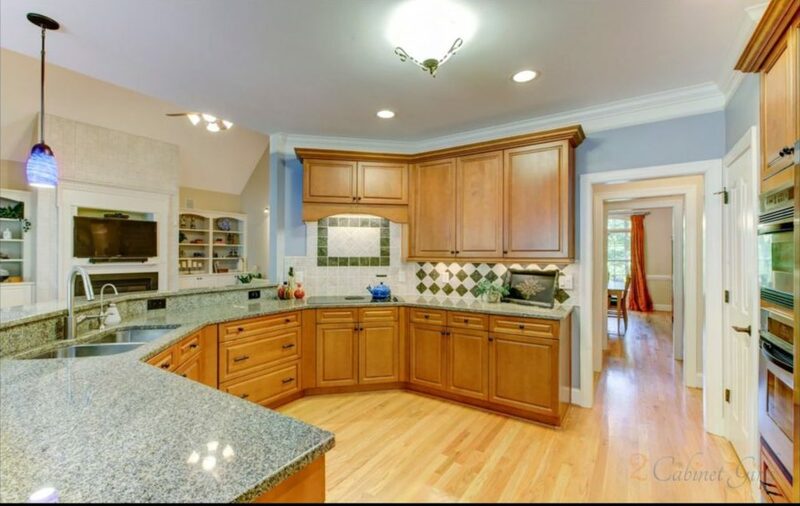 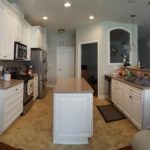 The backsplash was very prominent, and it was competing with the counters, the light fixtures….pretty much everything. 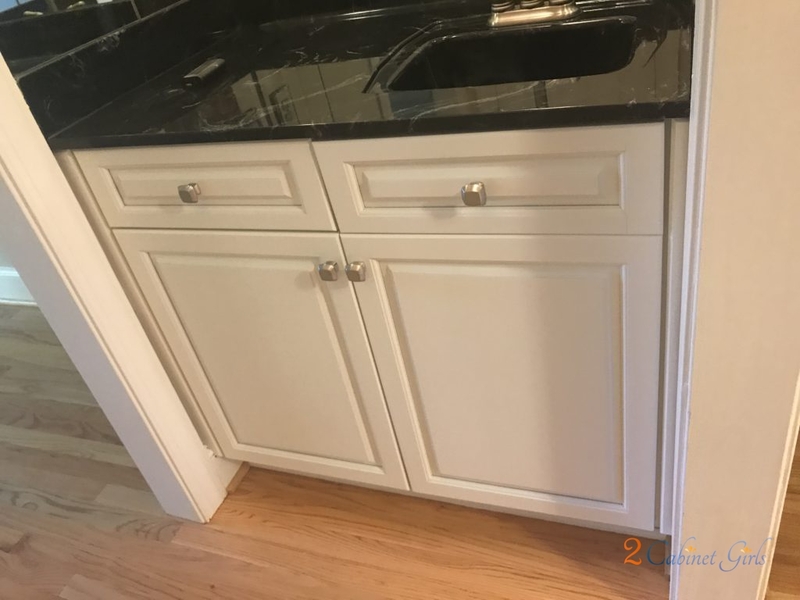 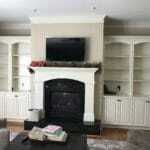 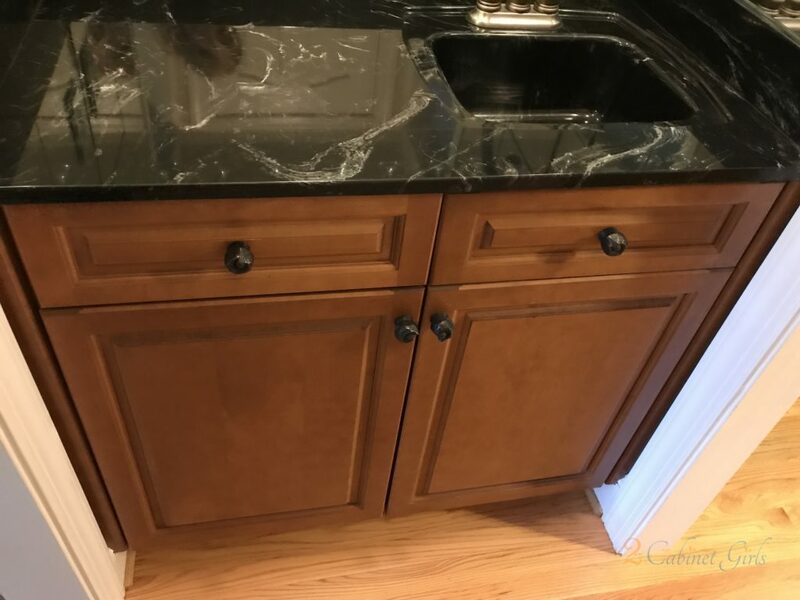 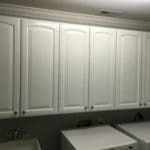 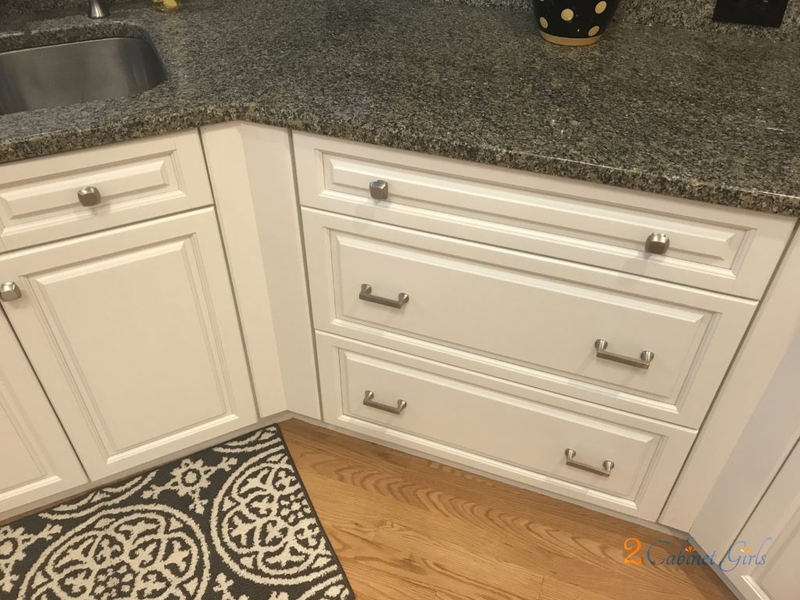 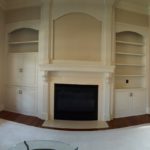 Our solution, to paint the kitchen cabinets and butler’s pantry cabinet in the same color as the existing trim. 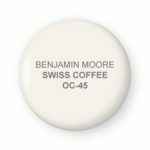 That color is Benjamin Moore Swiss Coffee. 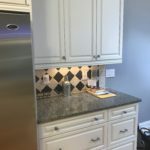 Now the backsplash makes more sense and the space feels much more inviting.